The Fiscal Year 2010 (FY10) Defense Appropriations Act provides $8 million to the Department of Defense Gulf War Illness Research Program (GWIRP) to find and fund the best research to improve the lives of veterans with Gulf War Illness (GWI). This program is administered by the US Army Medical Research and Materiel Command through the Office of the Congressionally Directed Medical Research Programs (CDMRP), and includes scientists and affected Gulf War veterans. 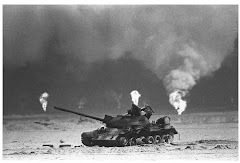 The program is funded through an annual earmarked Congressional appropriation through the legislative advocacy of Gulf War veterans and veterans organizations. Research focusing on identification of objective measures to distinguish ill from healthy veterans (e.g. biomarkers), or potential treatment targets for GWI. 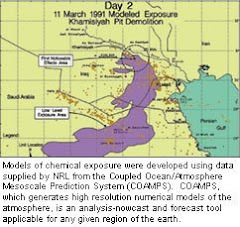 Studies that characterize chronic effects of neurotoxic exposures encountered during the 1991 Persian Gulf War (at comparable dosages) are also acceptable. FY10 GWIRP program announcements and application instructions for the following award mechanisms are anticipated to be posted and available on www.Grants.gov in March 2010. Preliminary data is not required, and if provided does not necessarily need to be from the field of GWI. Clinical trials are not permitted. A pre-application is required and must be submitted through the CDMRP eReceipt website (http://cdmrp.org) prior to proposal submission. Proposals must be submitted through the federal government's single-entry portal, Grants.gov. Individual program announcements and required forms will also be found on the Grants.gov website. Information in this pre-announcement is being provided to allow investigators time to plan and develop proposals. All proposals submitted must conform to the final program announcements, which will be posted on Grants.gov at a later date. The number of awards anticipated in each mechanism is based on available funds, average cost of proposals, and quality of proposals received. The GWIRP reserves the right to make awards in greater or lesser numbers than anticipated. Each program announcement will be available electronically for downloading from the www.Grants.gov or CDMRP website. The application package containing the required forms for each award mechanism will also be found on www.Grants.gov. Requests for email notification of the release of program announcements may be sent to Help@cdmrp.org. For more information about the GWIRP or other CDMRP-sponsored programs, please visit the CDMRP website (http://cdmrp.army.mil).